A report has suggested that this Microsoft’s E3 could be going Gears of War heavy with a possible three games being announced from the franchise. It feels about time for another Gears of War announcement. Gears of War 4 was a couple years ago now, and to get us primed for one in the next year or two, it seems likely we will see the franchise make a return pretty soon. Rumours have been flying around E3 because of it, with many now not just speculating but expecting to see the game turn up at Microsoft’s E3 conference. Well, if this rumour currently doing the rounds is to believed, we might have a lot more than that. The reliable people down at Polygon have said that they’ve heard rumours that there could be as many as three games announced from the franchise this E3. Those would be Gears of War 5, a real-time strategy game like Halo Wars and, as the times dictate, a battle royale game. There weren’t more details than that, but it certainly is an interesting idea to mull over. Three games from one franchise sounds like a lot for one E3 press conference, but perhaps it is possible it is two and the battle royale mode will be part of Gears of War 5. 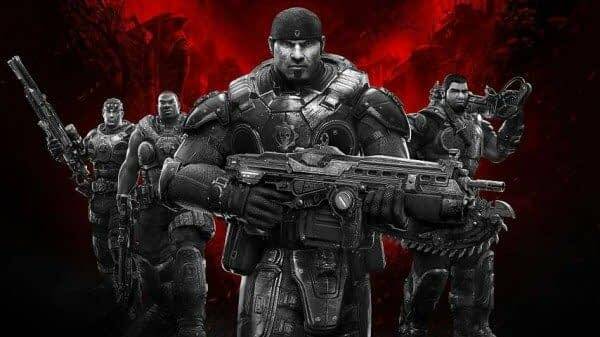 On that note, while battle royale modes will surely be rampant at E3, one for Gears of War does actually excite me. The guns and movement in that game are so ridiculous and refined, I think it could be a genuinely unique flavour to the genre. We only have just over a week now until we find out though!